The Floor Graphic Zigzag Directional At Macys adds just a splash of extra color and eye appeal. The linearity shows direction of traffic and display flow, with just enough zigzag to suggest the eye pause at the mannequins and displays in the series. The FixturesCloseUp focus is the directional floor graphic. 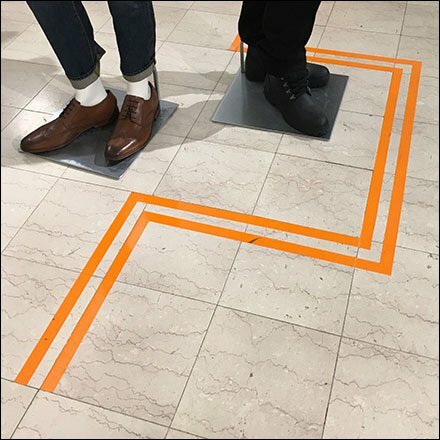 To see the overall display and effect you simple need to go to the store.This Floor Graphic Zigzag Directional At Macys seen the King of Prussia Mall, Philadelphia, PA.